Here is the third post devoted to the cookbooks that marked my the last year. Yep, if you’re counting, I bought and/or received almost 50 books in total, i.e. nearly one book a week. I am not oblivious to the fact that, in many captions, I confessed to not having cooked any of the recipes. Maybe because, beyond my cookbook buying, I also have a few apps ranging from Mark Bittman to Jamie Oliver, plus a 10,000+ recipe database I have built over the years. If I’m looking for an eggplant recipe, I open my FileMaker Pro database, type in the ingredient and, voilà!, easily one hundred or more recipes pop up to provide inspiration. So here are more of the books that found their way on my library shelves this year. I have made a resolution to slow down my buying spree in the next year. But I’m bad at keeping resolution, so don’t hold me to it, okay? Spanish food is super in, especially tapas which are still trending strong in Montreal. I visited Spain as a teenager and have been enamoured with the country, and its cuisine, ever since. 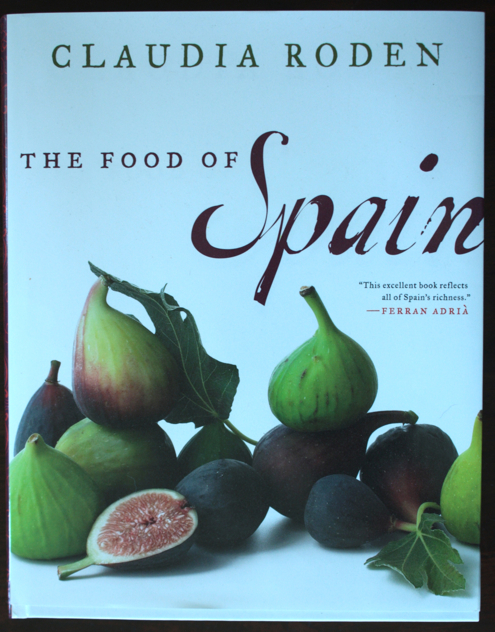 So no way was I not buying Claudia Roden’s The Food of Spain, in fact, I ordered it pre-sale from Amazon. Here is an author who devotes herself heart and soul to whatever cuisine she undertakes. I’m through part of the intro and will be cooking from the rest of the book pretty soon. I don’t buy many French cookbooks. The fact that Québec shares the same language and has a strong French cuisine background can be fairly deceptive. We don’t have access to the same ingredients, in fact, they may not even be called the same name here at all. Our seasons are also different, and the depth of produce too. 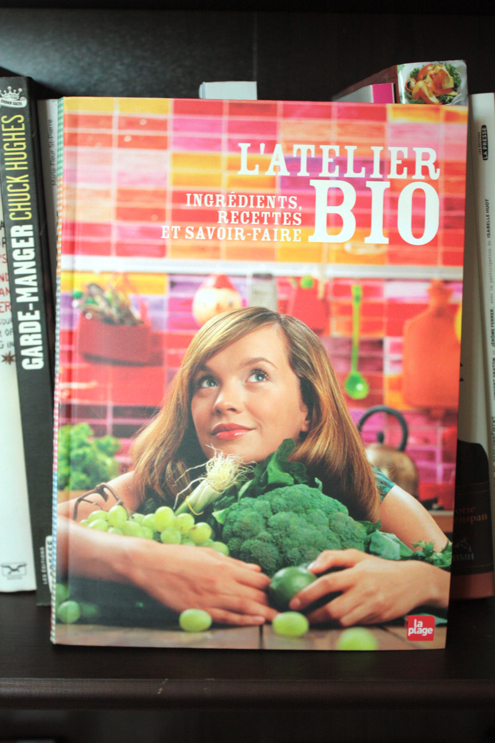 That said, because of my lapsed vegetarianism, I picked L’Atelier Bio during a shopping spree at Jean-Talon Market’s Librairie Gourmande. The book provides the how-to for many techniques such as germination. It’s informative as hell. But I’m never germinating seeds in this lifetime, let’s face it. This book I bought for my foodie-in-the-making picky eater. He hasn’t cooked from it yet (like mother like son, hey?) but he loves to flip through the pages, call out the ingredients and have me explain how to make the food. 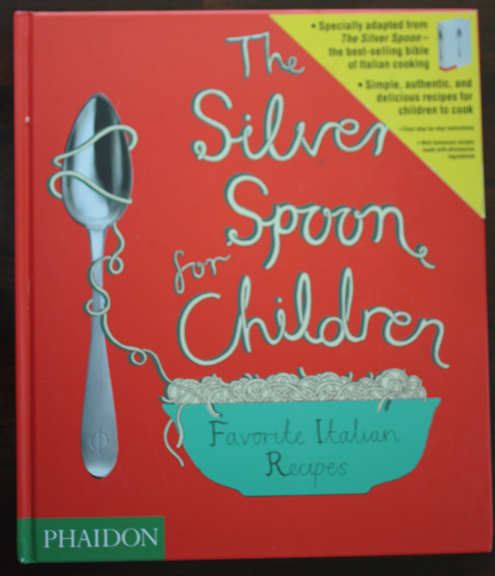 So I know it’s only a matter of time until we put The Silver Spoon For Children to the test. Even if we were never to cook a single recipe from it, though, it has already achieved a great deal in getting kiddo interested in cooking. I still remember coordinating a fine cuisine competition years ago, at Montreal’s ITHQ (Institut de tourisme et d’hôtellerie du Québec), in which then up-and-coming chef Laurent Godbout took part. He even won top honours. I have followed his career ever since and in fact, he is one of 80 chefs included in my last book À la bonne franquette. 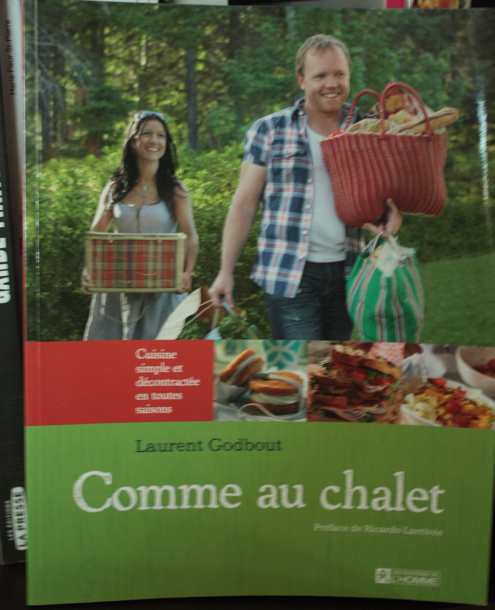 Comme au chalet, his latest book, is devoted to cottage cuisine, with many recipes far simpler than the usual Godbout fare. Hubby loves it. When my book À la bonne franquette came out, I was quite proud of it. 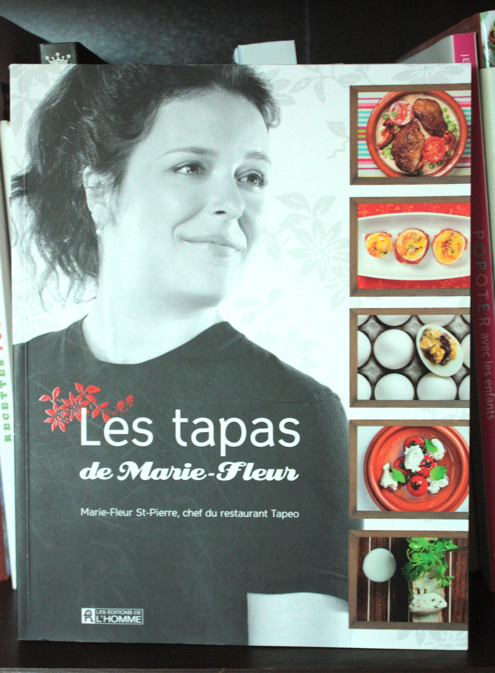 But if someone had asked me to recommend a Québec cookbook at the time, I would have said Les tapas de Marie-Fleur from Tapeo chef Marie-Fleur St-Pierre. 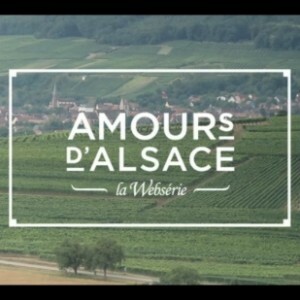 It’s fresh, innovative, quite original and beautiful. I know many foodies who were equally thrilled. Strangely, whenever people come to my house to borrow books, they take this one. They’re duly impressed, yet bring it back with not one recipe cooked from it. The reason they give? The ingredients are not typical ones in their everyday pantry. I guess they are in mine, hello there, piri-piri sauce. Okay, in a previous installment, I confessed that I don’t buy recipe books for the quantity of scrumptious everyday recipes they provide. 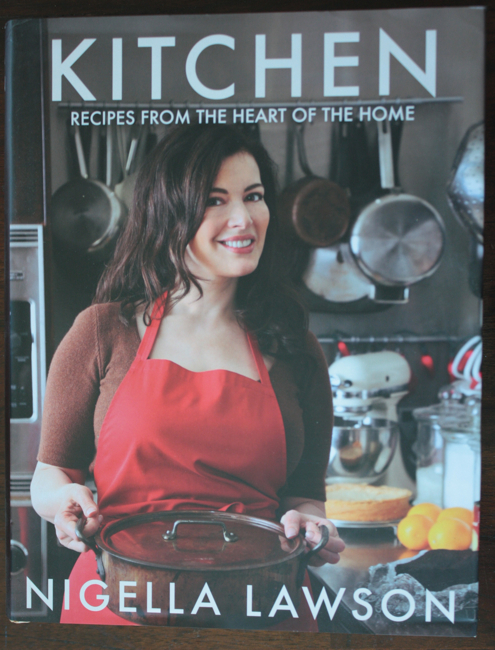 Still, I felt my library would be incomplete without a Nigella Lawson book, so I went for Kitchen. It’s a nice compendium of recipes for the open-minded homecook, plus the overwrought style makes me smile, in a good way. There are some nifty recipes here, as well as ideas on how to use leftovers that are totally clever. My fave part? The Express Index devoted to recipes 30 minutes or less. I looove a good Index. Six years ago, I was the ghostwriter on Des Kiwis et des Hommes cookbook. 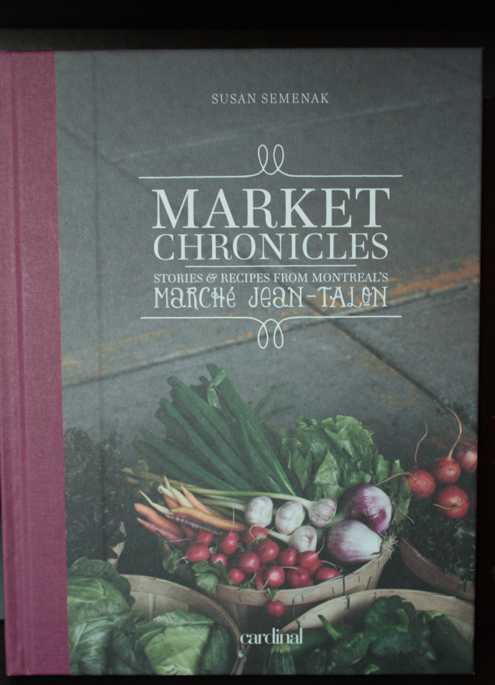 At the time, I interviewed many of Jean-Talon Market’s iconic producers featured in the new Market Chronicles by Susan Semenak. The author, a true fan of Montreal’s most famous farmer’s market, has crafted a jewel of a book, with inspiring photographs and recipes I yearn to try very soon. In fact, I should review it next. My only gripe is the thick matte paper, that does lend the book its old-fashioned character, but could never withstand the mess of my busy kitchen counters. Greek cuisine is a fave in this house. Grilled meat, fresh salads, scrumptious seafood and convenient dips, mostly smothered in olive oil, lemon juice and fresh herbs, are pretty much kid-friendly. 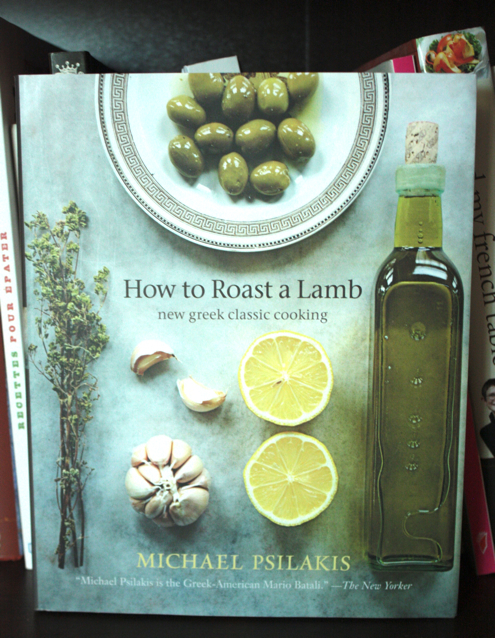 As I flipped through the pages of How to roast a lamb by Michael Psilakis, I found the techniques behind food that is compellingly familiar, since I make my own Greek-style food regularly, from homemade souvlaki to tangy tzaziki. In fact, keep your camembert, this house is feta-obsessed. 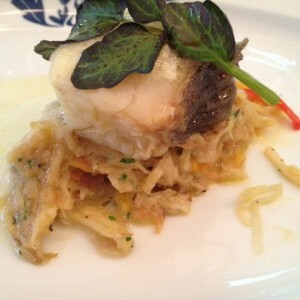 If you share our passion for this not-so-foreign cuisine, expect to be transported. 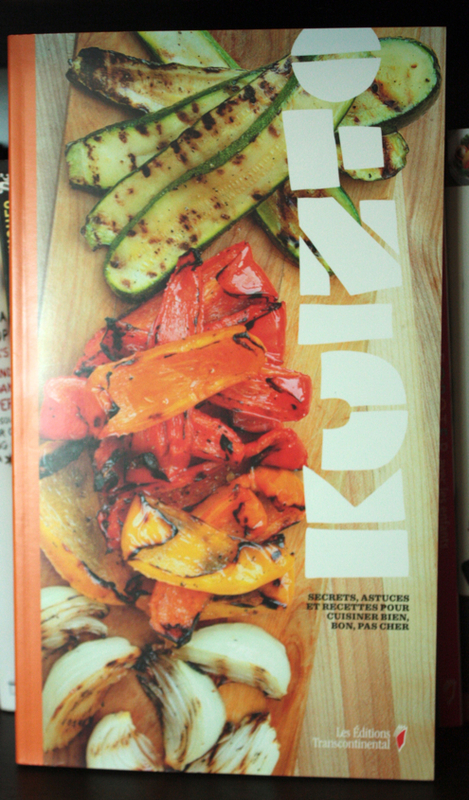 I have blogged about Kuizto from La Tablée des chefs right here, expounding on the book’s intended audience and congratulating the authors for the simple recipes. Although the book is targeted at a young audience that may be setting up house for the first time and needs starter recipes to get cooking, many of the tasty offerings are signed by top chefs. Plus it’s for a good cause. For the young adult or inept cook in your life. 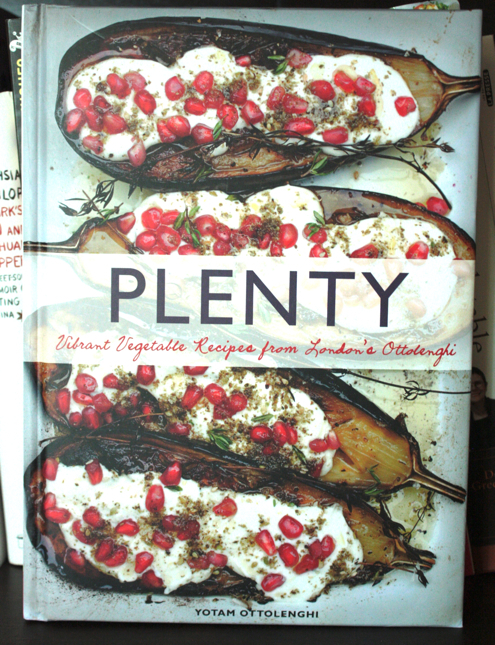 I’m sold on Plenty by Iranian-born London chef Yotam Ottolenghi. 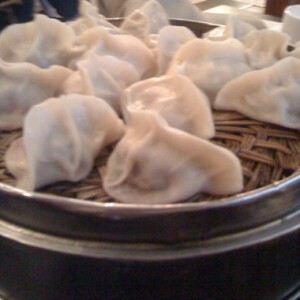 The pix are amazing and the vegetarian recipes borrow from my taste palette. You have to like the zing of ever-present lemon and be willing to invest a bit in expanding your pantry. Chef Ottolenghi often relies on very precise ingredients and the freshest produce to achieve the vibrant cuisine that is featured here. But it’s totally worth it. 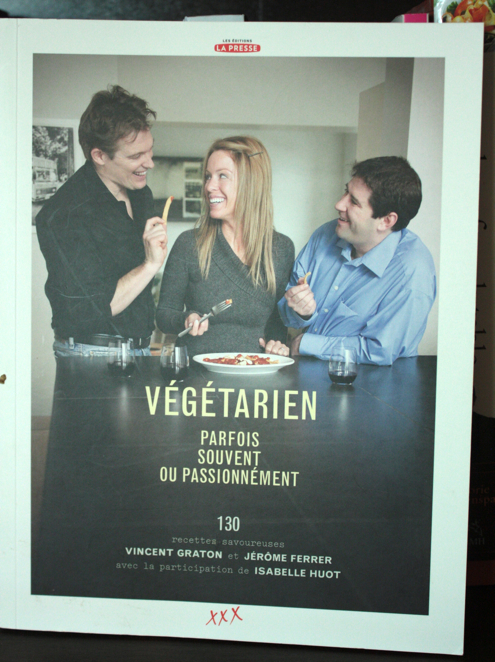 On the Québec front, Végétarien parfois, souvent ou passionnément is one of several vegetarian cookbooks published this year. The recipes are signed by top Montréal chef Jérôme Ferrer, with actor Vincent Gratton providing the passion and nutritionist Isabelle Huot the health sections. The food is quite inspiring, the look of the book much less so. The copy-heavy, dry-as-bone nutrition sections sit there like a dud, turning away readers—or me anyways—at a glance. It’s like the art director never even tried. Thank God for the cool recipes. You won’t find most of the ingredients in Montreal. Or even, the time to attempt most of the recipes here. 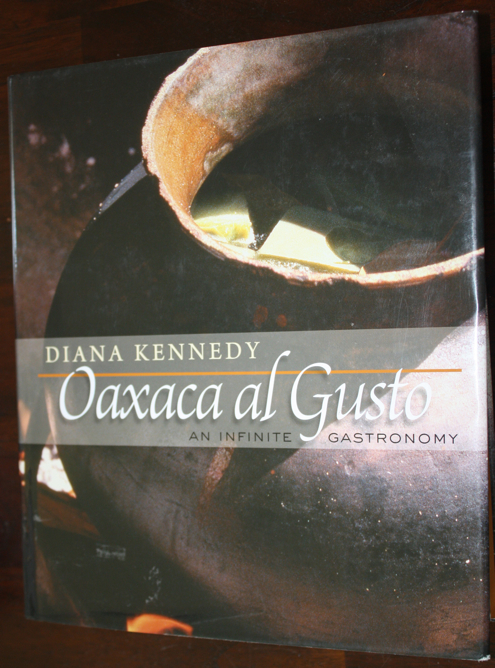 Yet I couldn’t wait to own Oaxaca Al Gusto by Diana Kennedy. File my yearning under the “discover a new cuisine” category of cookbook buying. I live in a city where Mexican restaurants are really TexMex, delicious but far removed from the authentic, traditional country cooking of Mexico. The pictures are beautiful, the food awe-inspiring. No wonder this was the Cookbook of the Year according to the James Beard Awards. In all fairness, though, if you don’t live in Mexico, the recipes will prove a tough, maybe unsurmountable challenge ingredient-wise. You’ve been warned.